Children in need are invited to shop at a retail store, one who partners with Assistance League, to pick new clothes for school. They leave with big grins and a renewed sense of confidence. Operation School Bell was a resounding success this year. Assistance League of Denver teamed up with nine Denver Public Schools and five Aurora Public Schools plus the Aurora Welcome Center. The schools chose the students that participated in the event. 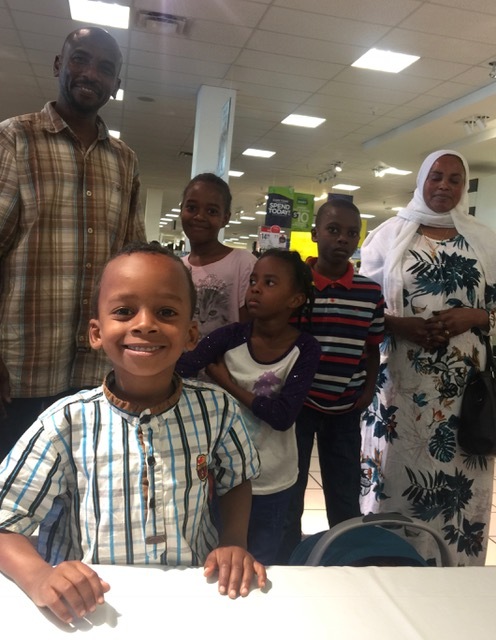 The student and parent arrived with their letter in hand that allowed them to shop at the event. 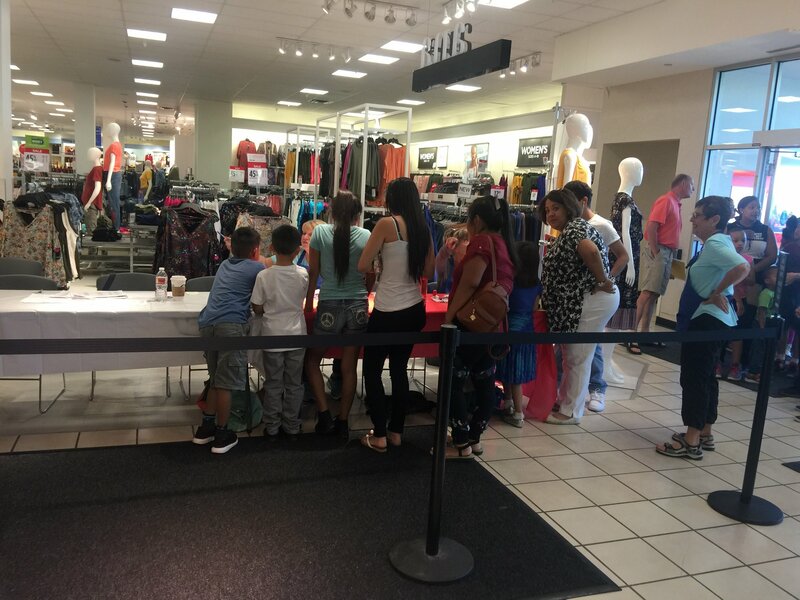 Assistance League of Denver partnered with the J. C. Penney store at Northfield Stapleton for shopping on five Sundays from 8 to 11 before the store opens to the general public. 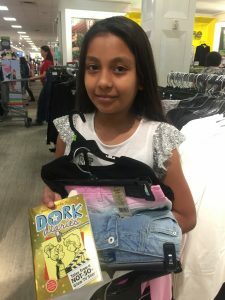 We also did two pilot programs in the Denver Public School System where Assistance League of Denver provided uniform clothes for all of the students at the schools. In total we worked with 2,553 students providing each child with $90 worth of school clothes. 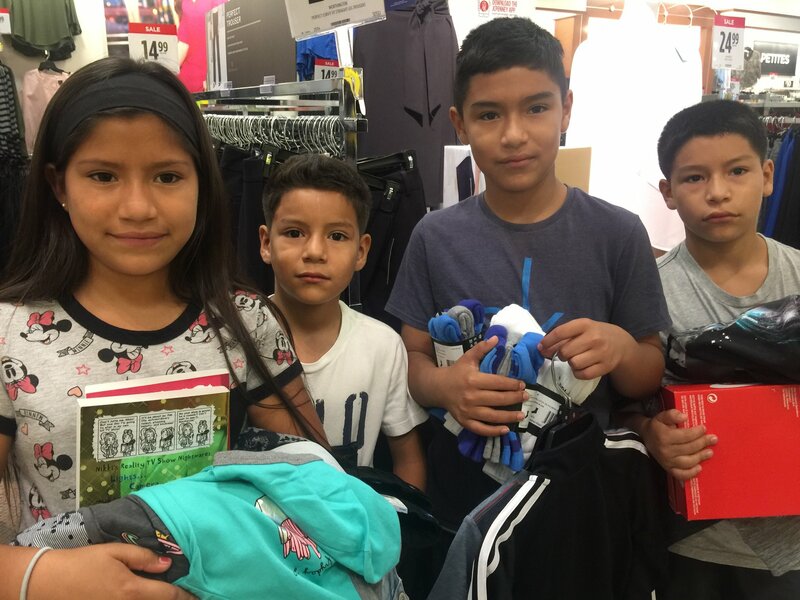 J. C. Penney added an additional 15% discount so that the students shopped for $103.50 worth of clothes. 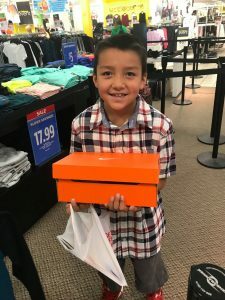 There were approximately 50 Assistance League of Denver members who helped check in students, bagged at the cash registers and helped the students and their families shop. Assistance League of Denver Auxiliary provided 2 free books and health kits to each child as well. Check out line at J.C. Penney! Lots of items to buy at Operation School Bell!